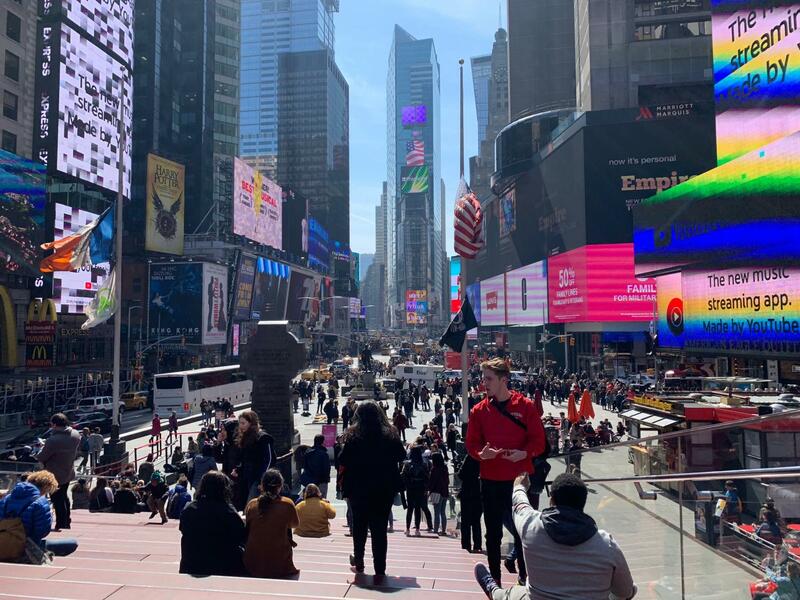 On March 20th the high school chorus went on their annual New York City trip. This trip isn’t only a chance for chorus members to see a Broadway show, but it’s a way to miss class, walk around the city, and go to McDonald’s. As a sophomore, this is only the second chorus trip I’ve attended, but from what I know it was definitely one of the best. The worst part of the day was the waking up, which for most of us occurred before 6 AM. By 6:30 in the morning the whole high school chorus was on a Jitney and on our way to the city. Upon arrival in New York City, we were all crammed into an elevator and put to work in a “Wicked” workshop. I think I can speak for everyone when I say it was way too early to be dancing with such high energy, but it’s what we signed up for. After about an hour of singing and dancing, we had a Q&A with the two Broadway professionals who had taught us the musical number. Looking back on it, the workshop was pretty fun, but at the time getting to leave the humid room and walk to lunch was extremely relieving. Now I’m not an experienced musical critic, but I’d say “Be More Chill” was a pretty great show and was way better than last years pick of “Come From Away.” The show was very modern, comedic, and very relatable to teenagers, which made it a perfect fit for us. Though some of the jokes were a little awkward to hear which accompanied by our teachers, the show was terrific. The music was fantastic, the performing was great, and the interesting sci-fi storyline made it genuinely entertaining to watch. When the show came to an end, we all piled back onto our Jitney and sat through a long ride to the most looked-forward-to part of the trip for most of the chorus, McDonald’s. Before we knew it, it was pitch black out, around 8:30 pm, and we were back at Pierson High School. Though there were some rocky parts of the trip, I think I can safely say the whole chorus enjoyed it. Not only did we get to miss a day of school, but we genuinely had fun. I can’t wait for next year’s trip!